Long term heat storages are important in the future energy system in Denmark. 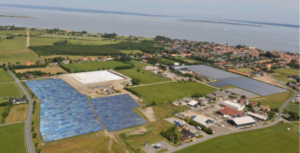 From 2011 to 2015 four large long term storages have been implemented in Brædstrup (borehole storage), Marstal (pit heat storage) Dronninglund (pit heat storage) and Gram (pit heat storage) connected to large scale solar district heating plants. The monitoring programs for these storages ended when the projects were finalized. As long term heat storages change performance the first years because the surrounding soil is heated up there is a need to continue the monitoring programmes. This project has as purpose to secure a continuation of the monitoring programmes, to analyse the data and to make the results public. Beside the monitoring programmes the project includes tests and measures that can support future storage projects. Long term heat storages can make the future district heating systems flexible enough to allow for the integration of fluctuating power production. In Denmark the future market potential is estimated to 5 million m³ water storages. Outside Denmark similar systems are developed. A recent German study for instance showed a marked potential of 15 million m³ water storages and also China has showed beginning interest for the technology. 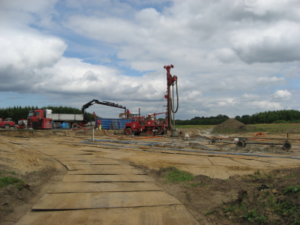 The purpose of the project is to follow the performance of three pit heat storages and one borehole storage implemented during the period from 2011 to 2015 in Denmark. In the project monitoring results and experiences from operation of the storages until 2018 will be analyzed and published. Solites performs the evaluation of monitoring data from the four projects mentioned above. For this purpose, the monitoring data recorded by the control systems of the plants are transferred annually to Solites for evaluation. The results of the evaluations are regularly presented to the project consortium, documented in reports and published. 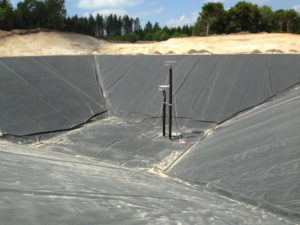 The results from the evaluations of the monitoring data of three large-scale pit thermal energy storages in Marstal, Dronninglund and Gram and one borehole thermal energy storage in Brædstrup in general prove the efficiency and reliability of the presented storage technologies. The results mostly show good agreements with the design figures in terms of storage efficiency, usable temperature ranges and contributions to the heat supply of the connected district heating networks. Deviations are explainable by different operational conditions or other site specific effects. 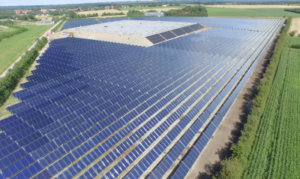 Especially the example of the PTES in Dronninglund shows a high storage efficiency, which is on the one hand a result of the good technical quality of the storage construction that leads to low thermal losses, on the other hand the storage has a large energy turnover as it is used for seasonal storage and for short-term storage simultaneously. In addition, the low temperatures in the storage in the winter period result in negative thermal losses in the bottom parts of the storage. All of the considered systems have a heat pump included in the system concept that enables a discharging of the storages below the temperature levels of the district heating return lines. This allows for a nameable increase of the usable temperature differences of the storages and by this smaller storage volumes with the same usable heat capacities than without heat pumps.